I agree with the writer of the letter. 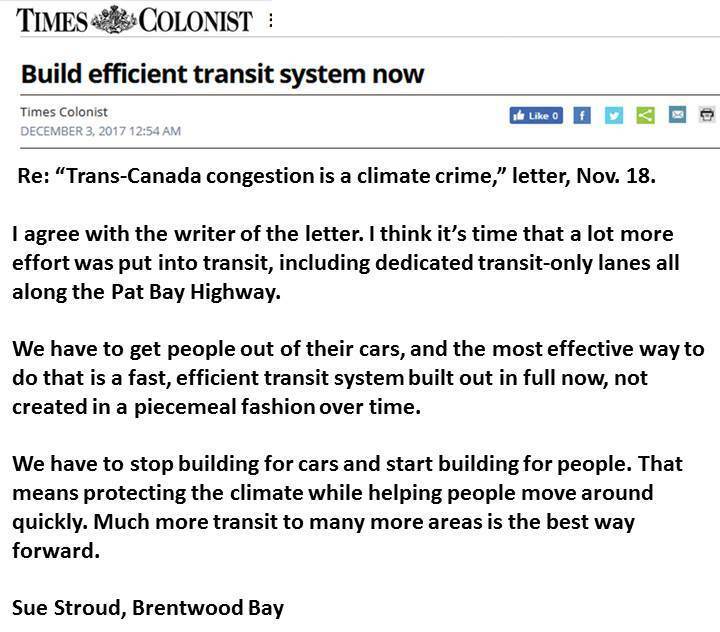 I think it’s time that a lot more effort was put into transit, including dedicated transit-only lanes all along the Pat Bay Highway. We have to get people out of their cars, and the most effective way to do that is a fast, efficient transit system built out in full now, not created in a piecemeal fashion over time. We have to stop building for cars and start building for people. That means protecting the climate while helping people move around quickly. Much more transit to many more areas is the best way forward.